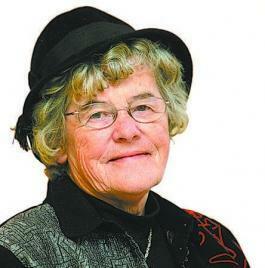 Ruby M Cusack - Finding Headstones without leaving home. Dad didn’t show any interest and suggested, I clean up the milk that was dripping from the table. It seemed, I got into his bad books very easily so I turned my attention to Mum as she always listened to me and seldom scolded me. We stepped out onto the step as a man and two ladies who looked as if they might be sisters climbed out of the car. Over Pal’s barking, we could hear the gentleman growling away that he had driven many miles to visit New Brunswick, not to spend all his time searching through cemeteries to find a tombstone and take a picture of it for one of the neighbours. The elder of the two ladies, extended her gloved hand to Mum, explaining they had visited several graveyards looking for a tombstone for William Wanamake, who had died circa 1850. They wanted to know if he was buried in the cemetery near to our house. By this time, Dad was standing on the step and advised the ladies that there was no such name in this cemetery. The lady with the Brownie box camera looked very disappointed. Over the years, big changes have taken place when it comes to finding the location of tombstones and getting a look at a picture or information of one of them. At http://canadianheadstones.com/nb/ website there are1,718,000 gravestone photo records from across Canada with 13,400 from New Brunswick which were submitted by more than 70 volunteers. Here, one can browse or do an individual search by just the click of the mouse. Cemeteries are being added as transcriptions are donated. As an example, the Church of Our Lady of Mount Carmel in Northumberland County has 379 photos, Christ Church Anglican Church in Bloomfield lists133 photos, The Old Burial Ground, Fredericton has 1790 photos and the list goes on. It is much too late to help the ladies who were driving in the Desoto car but I found in the listing of the 496 photos of St. Paul's Anglican Church Cemetery, Hampton a picture of the tombstone of William (Wm.) Wanamake who died 10th Apr. 1848, aged 58 years. On https://www.findagrave.com/ one of the cemeteries listed is the Loyalist Burial Ground, Saint John with 214 photos. 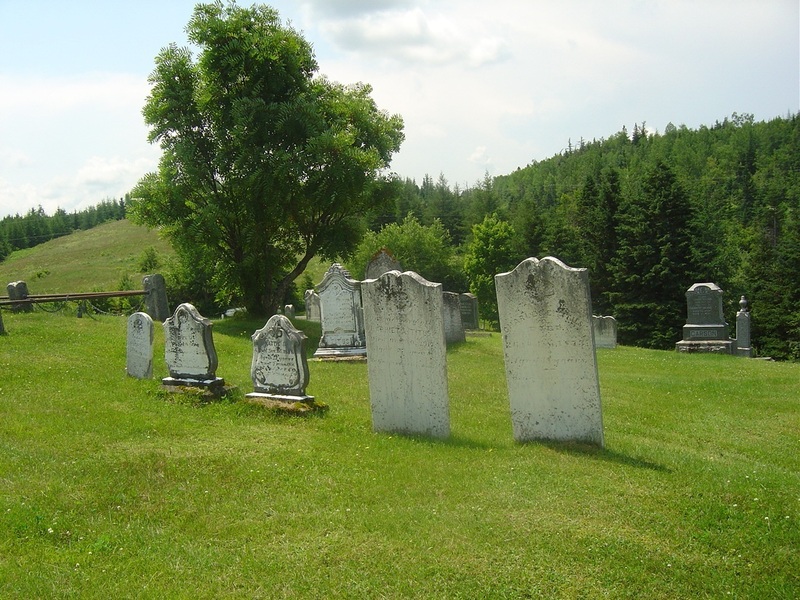 The comment on the Provincial Archives of New Brunswick website at http://archives.gnb.ca/Search/Cemeteries/ really hit home to me - “Gravestones have always been recognized as an important source of genealogical information, but locating this information is not always easy. 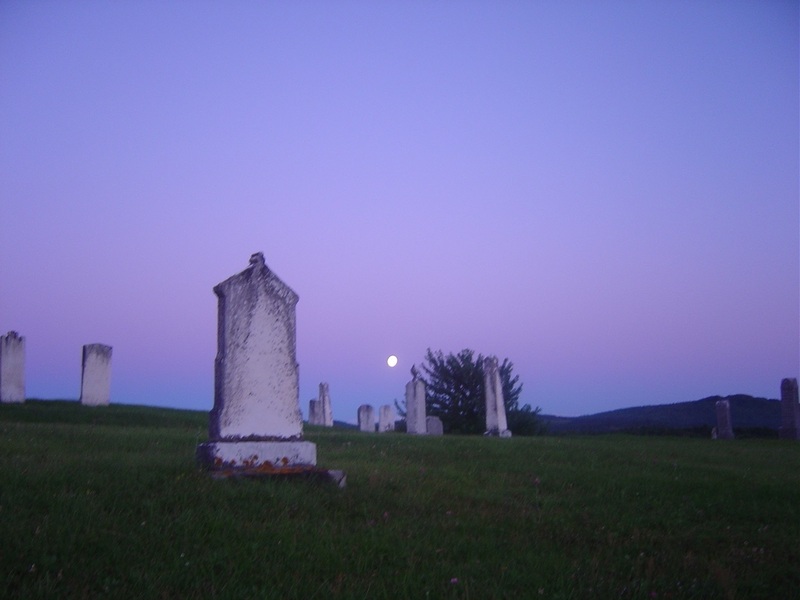 You could spend days wandering cemeteries and eventually might happen upon the stone you are seeking.” On this site you will find a data base of 950 cemeteries with 9,858 family names. When visiting a library or museum, inquire as to the books they have on New Brunswick Cemeteries or do your homework before leaving home by searching the New Brunswick Public Libraries Catalogue. 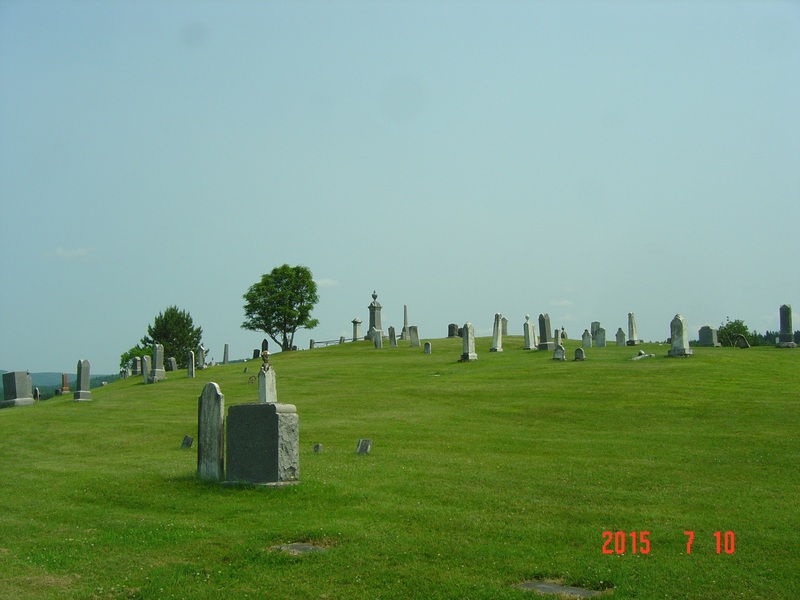 Cemeteries and their records provide us with not only information but give us a look at the last resting place of an ancestor where the family gathered. The inscription on the tombstone sometimes surprises us with more genealogical information than we expected to find - as did this one of Margaret Cusack, wife of Thomas Cusack who died at age 56 in 1843 - “Leaving a Husband and ten children to lament the loss of a loving wife and affectionate mother.” "Erected by her son John."